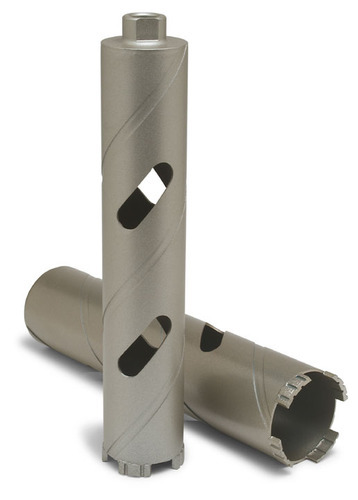 MK-Dry Premium Core Bit 4-1/2"
MK Dry Core Bits are specifically designed to tackle a variety of soft brick and concrete block drilling operations. They feature laser-welded technology and inventive bar-slot cooling to promote efficiency, reliability and safety. MK Dry Cutting Bits are 10" in length, come with standard 5/8"-11" threaded nuts, and easily attach to most hand-held drills.